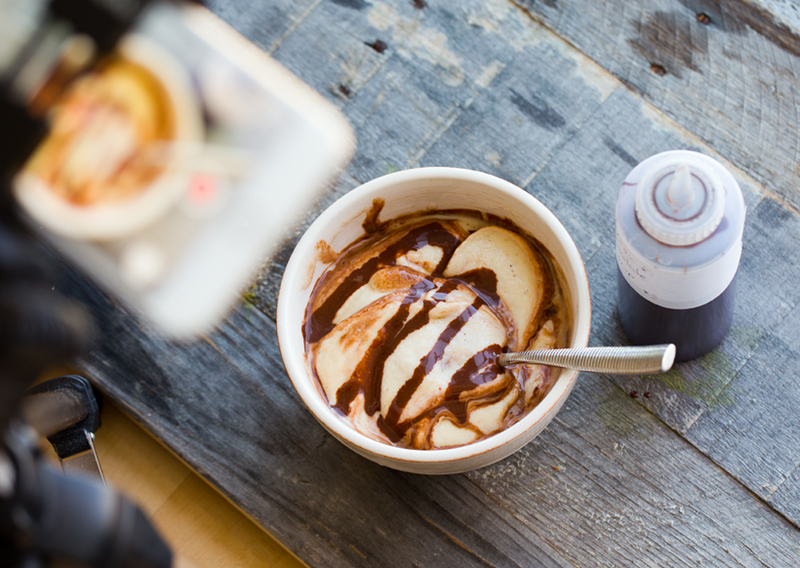 Today I share my super simple DIY magic chocolate sauce swirled over top vanilla bean nice cream. Vanilla meets chocolate. Ying and yang. Richness and simplicity. Your whole family will love this one. Childhood flashback. This bowl reminded me of a memory. 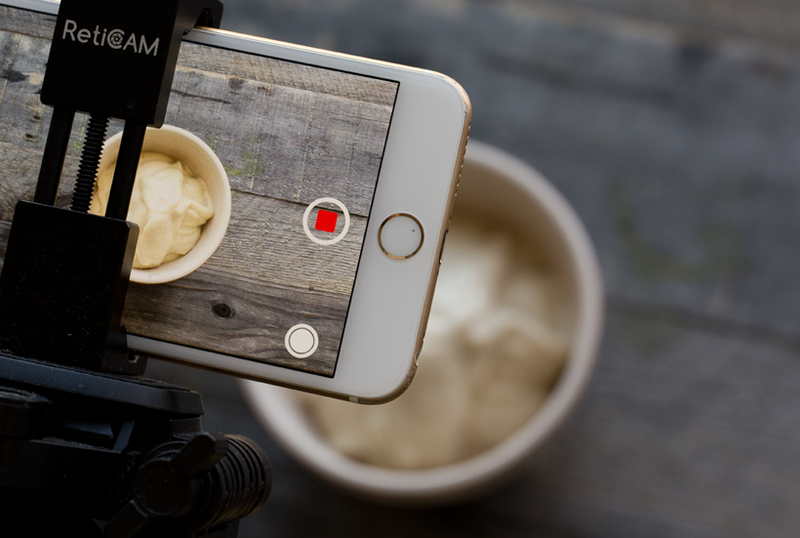 I could see my sister and I huddled in the kitchen, digging our fists into a carton of vanilla bean ice cream to scoop out perfectly soft and melty scoops. 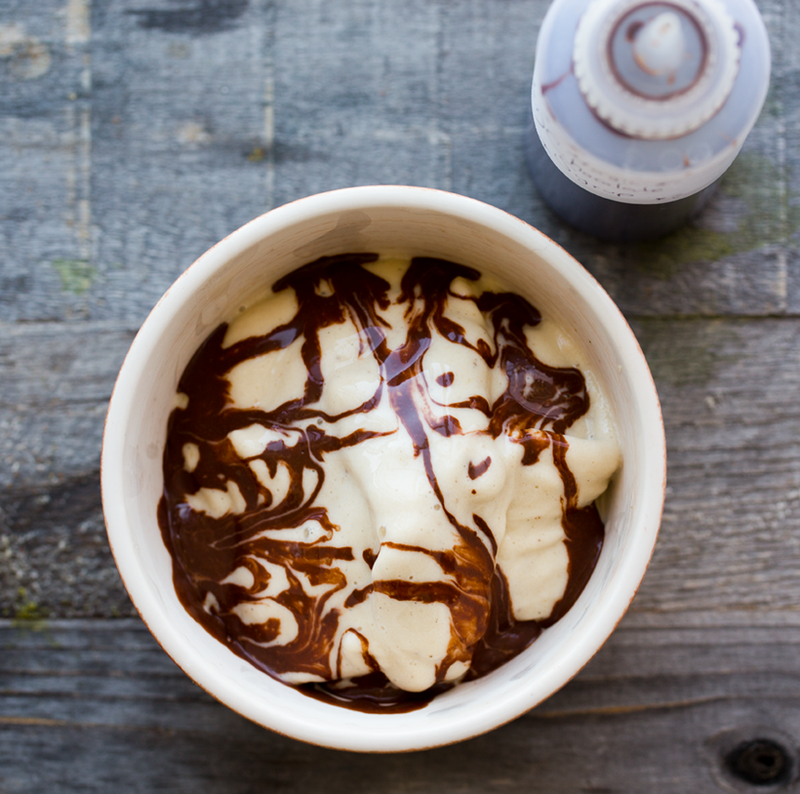 We filled our cereal bowls with ice cream then grabbed the store-bought chocolate syrup from the fridge (I think we used Hershey's and a few others..) and doused the silky white hills with the dark chocolate syrup, all shiny and slick, pouring out in perfect swirls and swooshes. This memorable black and white ice cream bowl dessert was a go-to after dinner treat (and sometimes before dinner treat) in our house. And I mean seriously, my sister and I were kind of ice cream fanatics. If there was an ice cream lover's anonymous for kids, we should have been there. I can fondly remember eating pastel green mint chip ice cream for breakfast, out of big cereal bowls, while watching Saturday morning cartoons. Not sure how we snuck that by mom and dad, but repeatedly, we did. So this dairy-free version reminds me exactly of those memories! 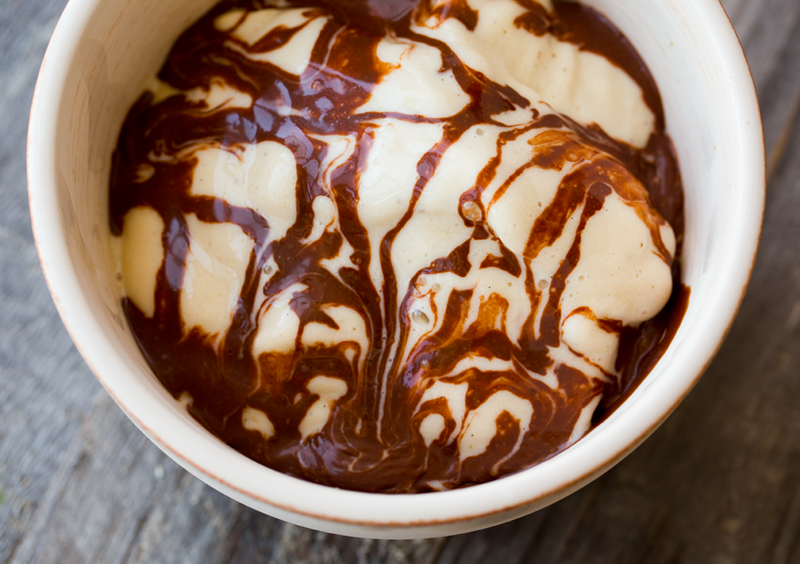 Minus the overload of refined sugar, dairy fat and artificially flavored chocolate sauce. Just writing this I am already craving a big bowl again..! Hope you give this duo a try. 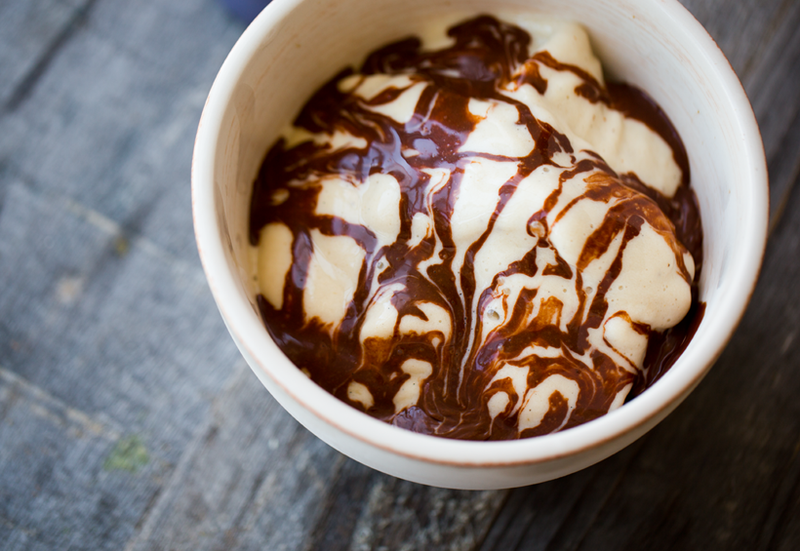 Chocolate Sauce. Two Ways. I did two versions. 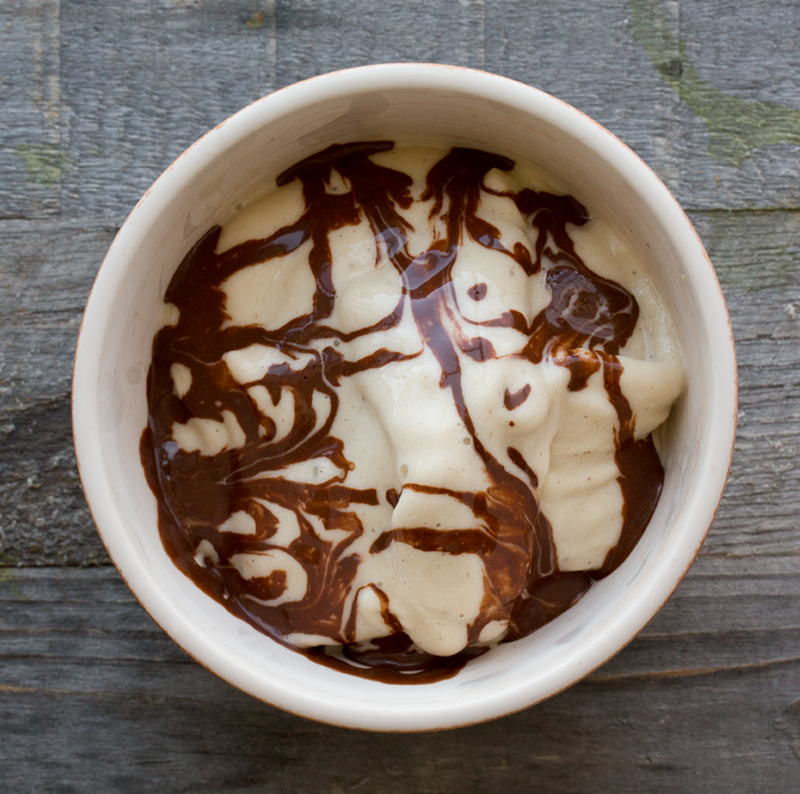 One with cocoa powder for a classic chocolate sauce flavor. Then one with carob powder for when I do not want to add any caffeine to my dessert. Plus, I really do love the flavor of carob -- and I know a few of you do too! This carob cake was also crazy delicious. How to Use the Sauce. 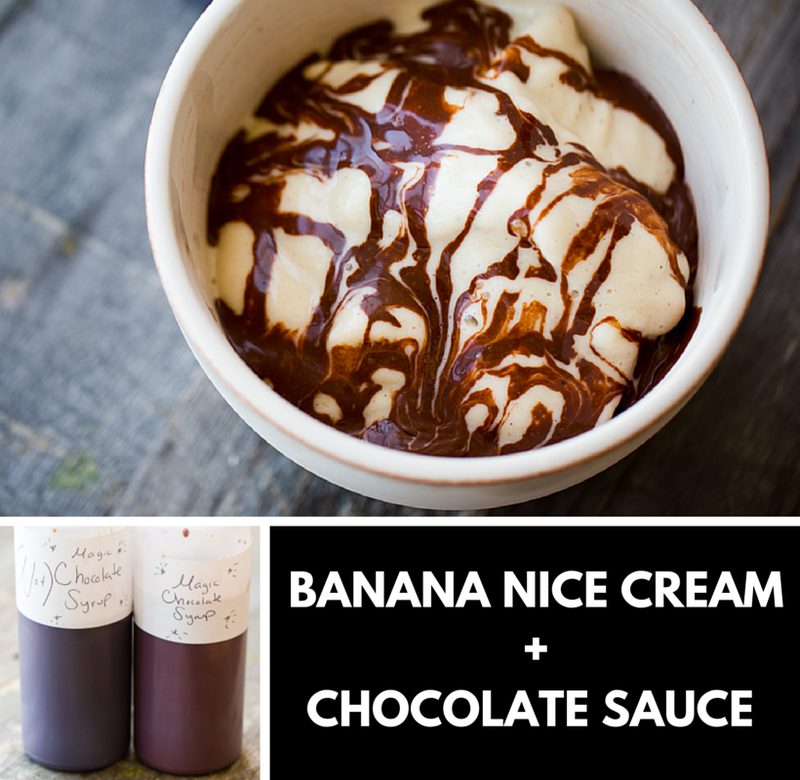 These sauces are perfect for adding on top of banana nice cream, or pancakes, waffles, crepes or even oatmeal. Or try peanut butter toast with chocolate sauce and strawberries! 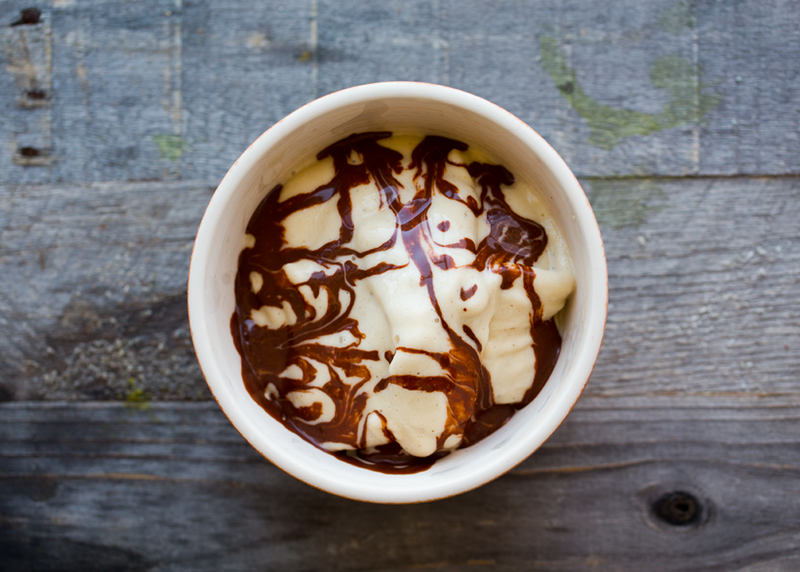 You could even make "chocolate milk" using some non-dairy milk and a brisk stir of sauce. Wait, is it sauce or syrup? Hm. 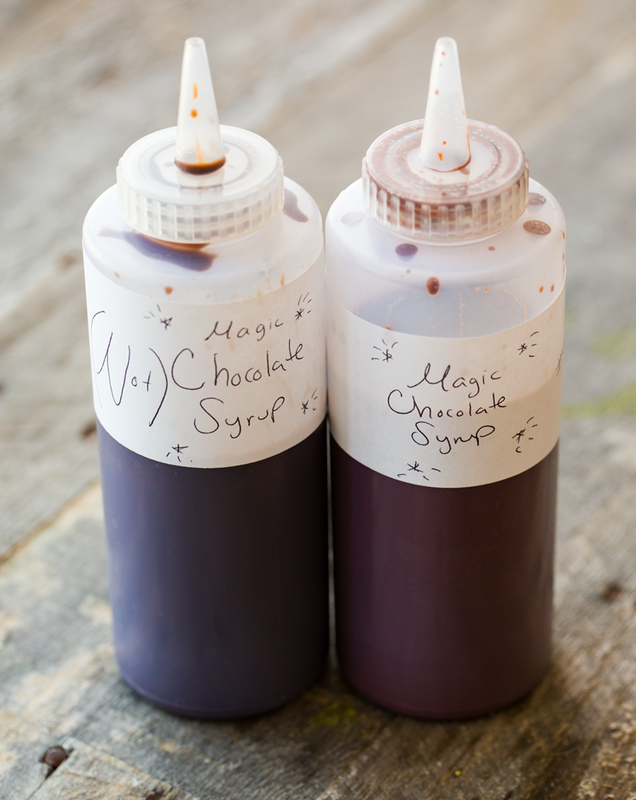 The recipe below is for the chocolate sauce. 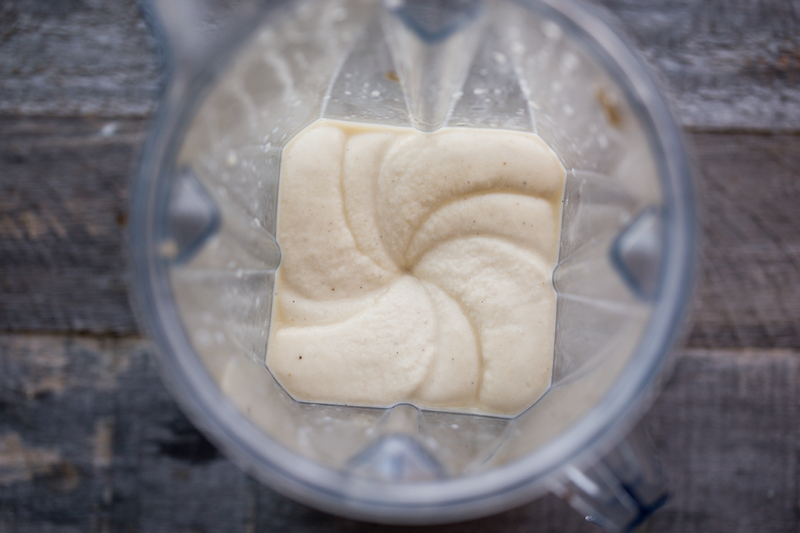 For the Banana Nice Cream I use this basic recipe here, and just added in some vanilla flavor. I actually had a vanilla bean paste that has little black specks of pod. 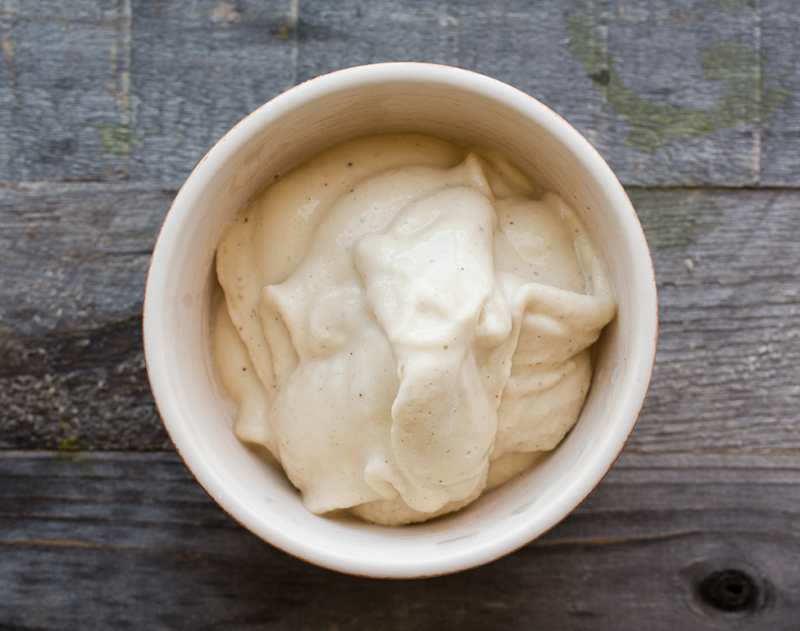 A real vanilla bean is even better. And a tiny splash of vanilla extract works too. I use about a 1/8 tsp for every 3-4 cups of nice cream. 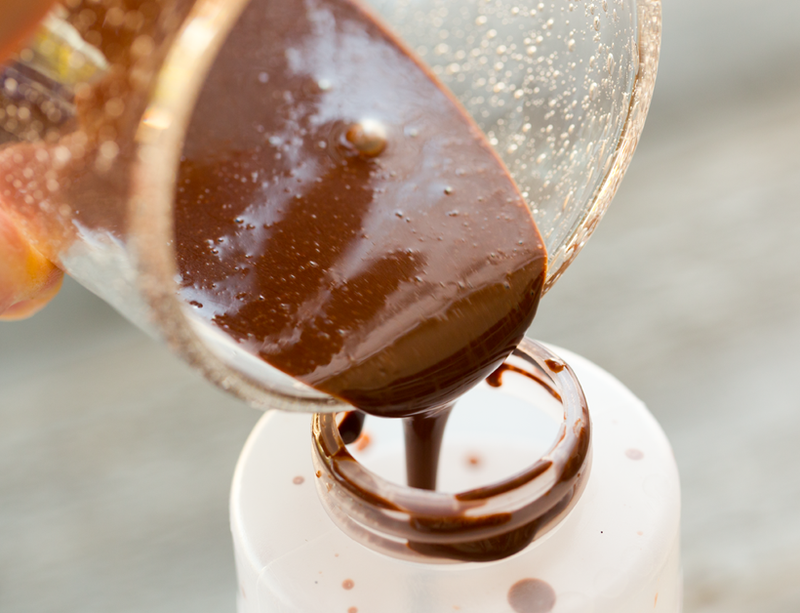 These super easy to make DIY chocolate sauces are sweet and rich. They are perfect for adding on top of banana nice cream, or as an indulgent topping for pancakes, waffles or crepes. Or try peanut butter toast with chocolate sauce and strawberries! Pour into a squirt bottle or mason jar for storage. NOTE: Upon chilling, the carob version softens up very quickly -- just run the bottle under hot water for a few seconds. For the cacao version, you will need a bit more time to soften since it gets thick in the fridge. You could also warm in the microwave to soften.